Decline of political standards in India? Yes, it looks like that! Causes and what can be done about it? In the West, both in the USA and Europe they talk of political apathy. In India we have to talk of political decline, decline in the quality of politics. No one talks of this trend, the current trend is very visible both in the public conduct of politicians, legislators, specially the MPs who now make daily news. Lately, they, the MPs, have earned undeserving (or deserving?) ridicule from the public and the media for their less than below-status antics, in talk and behavior. Disruption of Parliament by whosoever they are is much resented by the public and yet no one is willing to talk it out. Why politics declined? For a range of reasons; the recent past saw a great of corruption by the high and mighty be it politics or corporate world. Most of the high-profile classes are still pending and one or two might not see the light of the day in the end, the involvement of the office holders, in the states and at the centre. May be role started with Indira Gandhi’s attempt to reassert herself after the Congress party split in 1969.Then,the emergency saw further deterioration. The contribution of Sonia Gandhi years is also very significant. In fact, she started the real low caliber participants. At least Indira Gandhi had some capable Cabinet colleagues. Under Sonia Gandhi we saw real villains going for the big kill so to say! So, politics became identified with corruption, conspiracy and unprincipled alliances. Just before me is a latest book, Ruled or Misruled, the story and destiny of Bihar by Santosh Singh (Bloomsbury). It traces graphically the rise of politicians, Lalu Prasad Yadav and Nitish Kumar and Ram Vilas Paswan and others. Most of them come from humble backgrounds, at least, some of them educated, in Tamil Nadu, another similar state where too Sonia Gandhi forged alliances, in TN, the entire political cast is from the film world! So you have the two states which have played host to Sonia Gandhi’s style of Congress politics. The book narrates how Sonia Gandhi was ‘trapped’ by Lalu Prasad Yadav. I was struck by the exact parallels in the two states. In TN Sonia Gandhi has again been trapped by the DMK whose chief is more dangerous in the sense that the Congress-DMK nexus had brought down the entire high profile cast, the DMK ministers as well as the ministers of Sonia Gandhi crowd. The 2-G case is still unravelling and we are far from the exact extent from where the ultimate accused numbers will be revealed to the public. And there is one more layer to the standards of politics. After Mr.Modi won the 2014 Lok Sabha elections the Indian public had a taste of the sort of politics we are just now entering. That is the name-calling. The choicest language, words, some really lowest quality, swearing words entered the Indian political discourse. In this we have to add the two new politicians, the practitioners of choice abusive words, namely, Arvind Kejriwal and Mamata Banerjee, two street fighters who proved they can take on established parties and their leaders. The Left in West Bengal, the CPI(M) in particular found to their horror their vocabulary let them down so badly. They seem to have been lost for ever! Mr.Modi, to his horror, after his historic march to Delhi found himself so humiliated or what seemed a minnow, the AAP leader who has a flair for choice abusive expressions. We restrain from citing those words. 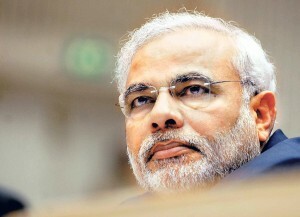 Mr.Modi is also resorting, we are constrained to note, no less hurtful expressions. In this Mrs.Sonia Gandhi is also resorting or forced to retort in no less undignified manner. To sum it up, the political culture in the country is sadly undergoing some radical way. It is not a happy augury. Now, politics is also changing. No more we are inclined to talk of values or ideals in politics. Politics has become a power-grabbing game. Also politics is also becoming a business, blatantly so; openly it is seeking power and unaccounted wealth and more and more the same type of greedy activity. One political commentator in the Financial Times (London) calls it political business and in India’s case more a dynasty business. Only in India perhaps the dynastic politics had survived for such a long time. Though we have examples wives and family members succeeding the fathers or husbands after they passed away or assassinated, as it is the case in many countries, but in India we see the dynastic politics had taken to such vast corruption and criminality. The recent corruption cases are a striking example of how the rich and corrupt dares to go on and indulge in the very same business of election, quite undaunted. The most educated them all; those who had education and high reputation had entered active politics through the back doors, without contesting elections and abusing the political processes and thereby ruining all the established institutional mechanisms. All moral principles of truth and due process of law and legal and Constitutional provisions are given a go-by and yet show their faces in public and go about nothing wrong had been committed! This is a sad state of affairs happening in a country led by such leaders like Gandhi and Nehru! As the FT commentator further states, politics is now an industry and those engaged in it also give the same version of politics. In some statics the elections are so corrupted that election time huge black money is distributed, in some states even the official machinery (police) is misused to distribute the money and on the election day voters get the currency notes along with a biriyani packet! Happy are the days of election with some drink too thrown in! Democratic politics outwardly runs this way only. There is an intriguing silence everywhere. No one talks it out or even discuss, except in hushed silence inside the rooms or closed doors more accurately! How to reconcile the reality with the true state of affairs. Is India an open society, as we have understood in the west? No, not at all. It is a closed society, closed by the politicians, the political elite as well. I don’t have an immediate clue on what to do for political reforms. In terms of a cultural prospective, all I can think of right now is the perception of a critic like Mathew Arnold who in the 19h century saw the decline in moral, political standards and called society of his time as ‘Barbarians’ and the ‘Philistines’ and the ‘Populace’ and he sought ‘Sweetness’ and ‘Light’. There is here some lesson too. India needs a clear vision! A great country and a great democracy need a well-articulated political philosophy, right? A comprehensive economic development philosophy is also very urgent for India. We seem to be still caught up in a world view that is well past us, right now. A realistic foreign policy framework is also called for. These are some of the urgent priorities for India under Mr.Modi who is otherwise stirring the pot, so to say and yet the people seem to be still somewhat confused about the future path for India. Now, the high profile Japanese Prime Minister Shinzo Abe’s visit and the signing of the 12 billion dollar investment in bullet train and also the civil nuclear deals, let us hope that it all set to grow faster. When we look at India now, what thoughts come to our minds? Mr.Narendra Modi won an absolute majority and for the first time after 30 years, there is a single party government in Delhi. This is a historic change. But then Mr.Modi, given the last 19 months of governance what thoughts we have of this period. For a politician who was given to incessant talking through his election campaign, we find suddenly lately the man is known for his studied or intriguingly deliberate long silences. This, the PM does, whenever there are flare-ups in the polity. His party members, known as fringe elements have created quite a number of troubles. Many violent acts, communal disturbances and lately Parliament are not functioning. The much-expected faster economic development is held up. Also, the polity is characterised not by any elevated sense of purpose but diverting issues by communal polarisation. The PM or his colleagues or even party or pariwar intellectuals (there are quite a few, party hoppers or original ideologues are not even talking out, no articulation, no ideology or new insights. As it is, there is a paucity of ideas, even a poverty of ideas and new thinking in the country. What the PM talks is politics, but it is not high political vision, what Rahul Gandhi is talking is also his own personal concerns. There is no tradition of serious political philosophies, there are new faces, younger leaders who are well-educated and even scholars and there are very many new political movements, electoral contest, by those who are in their early and late Thirties, as we see in Greece, Spain and even in Poland. We need to create a climate of intellectual interest in high principles of political ideas and political action and electoral contests. This type of new generation politics is not happening in India at present. This we have to reverse and create a positive environment for creative political thinking and political action. What stand out today are certain negative features like intolerance and the revolt of the intellectuals. The role and significance and why, even the clear need of intellectuals in shaping the society and public opinion and perceptions is not yet understood in India. More so now, under the new regime. Mahatma Gandhi is somewhat invoked, so too Ambedkar and even Nehru is invoked. But what is new about the BJP political ideology? Constitution was invoked, secularism was not fully asserted and so too the other basic foundational ideas of democracy, parliamentary system of governance, individual freedoms and of course the economic philosophy. Does the BJP believe in the capitalist economy, private investment, FDI and a non-exploitative capitalism as we all now believe? Or, is there any trace of left-over democratic socialism or any other versions of socialism or social democracy etc, doctrines of which we see many variations we see in the mature democracies of Western Europe? The time is now right to understand more about the working of capitalist economic system. It should be a compassionate and caring capitalism.In India today, these ideas are still new and therefore we need a wider debate and discussions. No debate, no discussions or clarifications or any new articulations from any one of the luminaries.To put it more bluntly, we see a sort of ‘muddling through’ by various hit and miss approach, if we can so put it. Then, there is whole vast range of social issues from education to health, environment etc. India is a traditional society where certain institutions like castes and religions predominate in many of our modernisation processes. This calls for a vast research and thought processes, involving fields like sociology, anthropology and even history. India is again a historical case of how a nation and society lost its uniqueness and independence and how colonialism overtook a people and whose very ethos, their own fundamental beliefs we almost destroyed and shuffled out by the process of alienation by an imperialism that left the people impoverished in various ways. Education is again a very important tool in India’s transformation and the study and interpretation of India’s history also calls for intellectuals to do their duty. Then, one more important area, in my opinion, is foreign policy. 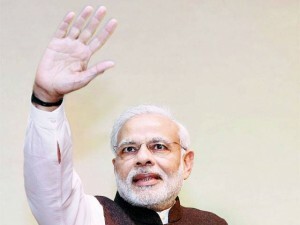 Mr.Modi, surprisingly, as soon as he took charge went on a rush of foreign tours and engaged himself with high diplomacy and one single variation is his engagement with the Indian diaspora.Where he made it almost like a well-planned propaganda war and he wanted to show his foreign hosts, from Barack Obama and UK’s Queen Elizabeth he is a very different type of an Indian political leader. All this is fine. And this Modi foreign forays also call for what sort of new foreign policy the new PM wants to put forward before the world nations? How far taking the overseas Indians as the target groups would help India to become a world power, if at all? In a recent article (The Hindu, Dec.11, 2015) two professors, one, from Japan and the other from USA, Rohan D’souza and Nissim Mannathukaren, have discussed how the Modi diaspora was organised in San Jose. Under Pandit Jawaharlal Nehru, when India was relatively backward India mattered in the councils of the nations.The Nehruvian Non-Aligned Policy not only made India the central focus but also helped a large number of Asian and African nations rally round India for a cold war free world. Mr.Modi is reportedly asking for other nations’ help to get a seat at the UN Security Council? How wise is this an approach and how the other nations can help? Only those who are innocent can believe that the USA can change things at the UN. The very UN itself is now in decline, almost discredited. In fact, India must now do much of the foreign policy issues for itself. India must engage itself much more purposefully with the global issues. What are the unique Indian solutions to world problems? How far India has played its role in the many recent issues like climate change conference. In the IS issues.Modi’s foreign forays, his engagement with NRIs, are done in Bollywood style, say the critics. Say the above quoted authors: Zionist Organisation of America (ZOA) helped to organise Modi’s San Jose Indians meet. Zionist groups that one can connect the many dots of Mr.Modi’s penchant for speaking to Indian disaspora. In fact, Mr.Modi is definitely wrong to imagine that he can win friends and influence people by relying RSS linked Indians who won’t play any role in shaping domestic policy nor help shape the foreign policy. These have to be done here in India by people, concerned citizens. This can be done only by a democratic process and understanding political trends in major countries. And also Mr.Modi must realise that ideas have their power. New ideas and new developments in older democracies, especially in Europe we have to adopt and incorporate the best practices so that Indian polity becomes progressive and in tune with the times. War and Peace are very big areas where India has a good image, as being the land of Gandhi and Nehru. But then, in our own times what is new and what is big in India’s global policy front? We have to revive many of the defunct instittutions, like the Indian Council for Foreign Affairs and also constitute many new groups for regions and come out with innovative ideas and proposals. For instance, I was in Nepal not long ago and I saw the SAARC headquarters and I want in an found out their work. Very modest. One thought ran through my mind when I was in Kathmandu, Nepal. Asian countries in our post-Independent period, also more recently, there had been many upheavals, democratic government failed; dictatorships took various shape and people suffered. Why not India moot as proposal to create a SAARC Parliament on the lines of European Parliament? Perhaps on an annual basis for discussing some broad democratic governance, economic development, environment etc. At last some non-contentious issues like strengthening the democratic values, democratic roots, from running an independent Election Commission to registering and running parties and party funding, press freedom etc. I am sure over the year’s people in these countries; all of them our neighbours would realise and appreciate our initiatives such as these. Even in the West, why, even in South East Asian countries there will be a resonance for such ideas. I was in Cambodia and Philippines and I found there are concerns about China’s rise and they all look forward to see India as a counterweight. Even Japan is concerned. There is no end to innovation and there are always concerns over security, fear of aggression and also a search for collective security by small nations. Of course we have to engage with the big power, with the USA and Russia and other countries. But then strong nations once thought they are strong only in terms of military power and economic strength. Now, the world seems to have changed.USA under Obama is very changed. No more military power alone matters.USA is very reluctant to engage in military action in Syriya. Russia and now Germany have sent the military to Syria.UK is also there. But these are only limited interventions. Diplomacy is also very powerful weapon. Why not India plays a very active and activist role? India is world’s largest democracy. But then we have to match that claim with our global engagement. What is Mr.Modi’s vision for India? Or, for that matter what was the foreign policy vision of the Congress? I would rather say that India must articulate the world issues more insightfully. Here I find a great lacunae and we seem to be satisfied with what we are doing right now. No, this won’t done. We have to identify great Indian minds and the intellects and public faces and send them out as our ambassadors, diplomats for specific purposes. In sum, Indian polity now cries for clarity of vision and a new sense of mission to make Indian democracy, with fairness to all sections of people, the Opposition parties are inspired by the fairness and due process of law. First, the next Lok Sabha elections in 2019 could be very different! Nitish Kumar, the alternative Prime ministerial candidate? The revolt within the BJP can have other implications! What about the future of the Congress? Bihar is a backward state. So, not much close attention is not given to its performance under Nitish Kumar. It has recorded 12 per cent growth; its agri sector grew at 3 percent. Social sector progress is impressive too. Though there is a long way to go. The Idea of India triumphed again, so say the India observers, both native and foreign. So far, it was a mixed feeling after the triumph of the BJP in the 2014 Lok Sabha elections. The triumph of the BJP party under Mr.Modi and the triumph of the Hindutva sent a mixed signal. On the one, 2014 election was attributed to the coming of the new ideology. In fact, many failed to notice that it was the sheer bungling by the UPA under Sonia-Manmohan team that sent the Congress to the dumps. The national party suddenly took a turn to promote the dynasty and in the mid-way we only saw a forlorn Rahul left to fend for himself. So, Mr.Modi had the freedoms and an open ground to make his all India rallies with no one to interrupt him. Now, in Bihar he had problems. He had formidable opponents, even if it was only Mr.Lalu Prasad Yadav Mr.Modi could have score some point. But with Nitish Kumar as the CM candidate with his moderate face, moderate tone and not without charisma and beside him the street fighter Lalu, the duo proved a fatal combination. Lalu matched Modi word for word, gesture for gesture. Modi was really the outsider, Lalu the very insider. And given Bihar’s caste structure and the many captivating slogans, the Bihari electorate this time rose in almost a mass chorus that drowned the very silly types of issues, slogans that didn’t make any sense to the very disciplined audience under Nitish-Lalu dynamics of electioneering. It was a sheer spectacle to watch Lalu’s each and every inch of his pace, his carefree style, the way he descends from his helicopter and the way he walks with so much confidence, you watch a lion pacing its ways and looks the two side of the short space he went for the kill!. It was not a routine, one more, political election, it was a sheer gladiators’combat! Bihar Assembly election this time had all the ingredients of a Roman amphitheatre’s drama and deadly end! 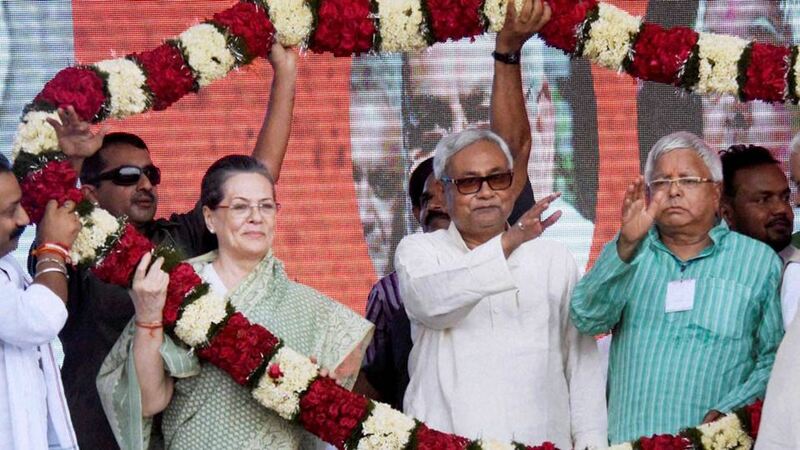 Where is the Opposition body in Bihar? Who are all the leftover combatants? In fact, there are not anyone left or anyone willing to come out and show their face! Such was the crushing defeat inflicted on the opponents, mostly left out in Delhi and it will take some time before anyone can figure out the implications, both short and long-term. In fact, India today seemed to have taken one giant step forward. Both in terms of politics and economics. Though politics grips our attention at the moment, it is really the socio-economic and even the psychological impact on the lives and aspiration of the Bihar people that must be explored and where credit is due must be assigned. Yes, Bihar is the most backward state in India today. It is also a vast populous state. Bihar’s per capita income is one third of the Indian national average. Some districts of Bihar, Siwan for instance, said to b agriculturally prosperous has a per capita income of one tenth of the national average, has also 1,700 people per sq km, four times more than the national average population density and this is 35 times larger than the global average! And yet, the average Bihari citizen was not moved any way by the sheer bombardment of Mr.Modi’s 27 almost non-stop rallies, it is almost like the infamous carpet-bombing of the war times. It is a great day for India, Indian democracy, Indian democratic beliefs triumphed and the very poor of the poorest Indian citizens put their faith in secular values, communal frenzy didn’t impress the people, they stood as solid rock, it is a proud day for the Hindu-Muslim unity, damn the irrational and even violence-driven calls for communal polarisation. If there is one remark to be made about the Prime Minister Narendra Modi’s campaign he could have openly restrained his extremist fringe groups but he didn’t. Also, he was widely seen as resorting to studied silence when the whole nation expected him to control these elements. It is regretful that he gave a clear impression he was behind these polarisation processes. It is really an avoidable process and yet the Pm did nothing about it. How great a loss of face and credibility! It is the moderation that won the otherwise highly emotive issues and it is a measure of where Indian democratic awareness had spread.Thank god, the otherwise run by Modi must have really led to a very divisive India. When Mr.Modi won the 2014 elections we welcomed his democratic win. Indian democracy must mature and two party systems must come to play its parliamentary legitimacy. Even now, it is our view that it is the alternative political process the Bihar elections had thrown out that gives hope for the short and long-term. It is the emergence of Nitish Kumar as the national alternative to Mr.Modi that is the true outcome of the Bihar election. Also, it is the emergence of Mr.Lalu Prasad Yadav as the alternative national face for the emergence and consolidation of the Opposition forces. Almost a repeat of 1989 is seen by the observers.Let us hope that Mr.Modi, truthfully as he seems to give the impression, will settle down to govern in a transparent and truthful manner. As we write there is good news for Bihar’s economic development. Two big FDI projects, one by GE, the other by the French giant Alston have announced investments in Bihar, on for Rs.15, 000, another for Rs, 20,000 crores in railways. This is a good augury for Nitish Kumar’s image as a vikas purush. We need more vikash purushs. Mr.Modi, faced with an instant internal revolt by the veterans, L.K.Advani, Yashwant Sinha, M.M.Joshi and Shantakumar and others, has moved fast and announced economic reforms by pushing for 100% FDI in key sectors, is welcome and it can push up economic growth. Also, the key question in the minds of many, both in the ruling party as well as in the Opposition is: will this act alone save the PM from facing the internal revolt. Obviously some heads will roll. Bihar in particular might prosper under Nitish leadership. So, this is a good time for India. Also for the rest of India, the series of Assembly elections, starting next with UP makes politics in India more exciting. As we write we also read that about 250 billion dollars worth of new aircrafts are to be inducted into the Indian aviation market. All this point only to India’s transformation as the world’s third largest economy. Also, not the least important, the Indian democratic norms and practice get a new uptake with some more sophistication and strengthening of the very many institutions. A time to be optimistic, indeed. Now, the Bihar’s Assembly election results had suddenly changed the Indian political landscape. With Nitish Kumar-Lalu Yadav’s sweep of Bihar, the assertive and even aggressive Narendra Modi seems beatable in the next general election. This is too short a time in which Mr.Modi’s historic 2014 Lok Sabha election seemed to be a historic turn for the Indian democratic polity. Now, the crucial question here is: will Mr.Nitish Kumar emerge as the alterative Prime Ministerial candidate for Mr.Modi in the 2019 Lok Sabha election. Then, what about the hopes and dreams of the Congress? In particular, what is the future of Sonia Gandhi and Rahul Gandhi? 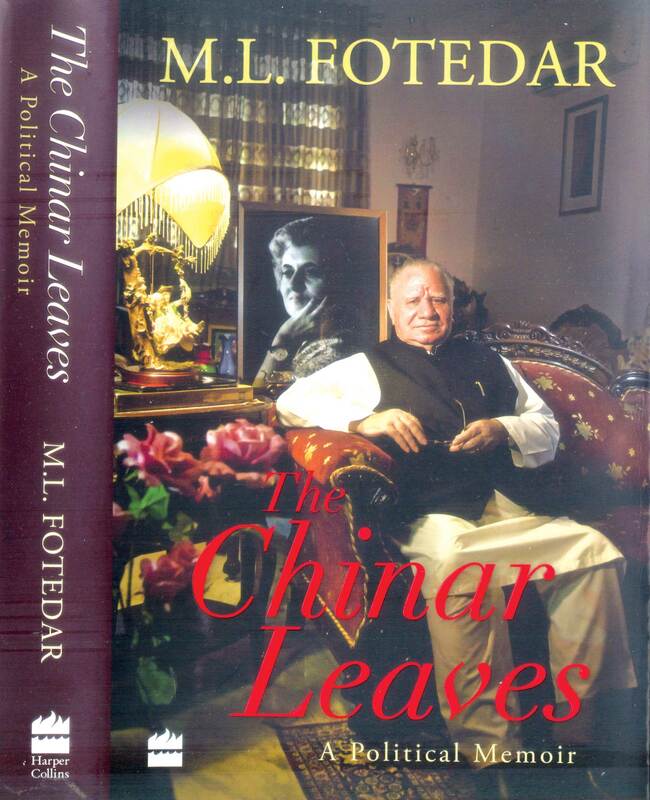 Mr.M.L.Fotedar says in his new book that Rahul Gandhi has no future. More to the point that Sonia Gandhi herself has not much time on her hand to anoint her son as her successor. Here is an assessment of the book that was written just a day before the Bihar election results came in. Mr.M.L.Fotedar, the long-time political secretary to Indira Gandhi and then Rajiv, later, finally, to Sonia Gandhi is a familiar face to Delhi watchers. I myself had run across him many times whenever I went to see Indira Gandhi in the 1980s. Now, he had written his political memoirs (Chinar Leaves, Harpers, pages 354) and they make for interesting reading. The highlight of the book is the last chapter and that too the last few pages. In the very last page(320) Mr.Fotedar opens up his burdened mind and says:@Rahul Gandhi’s leadership is unacceptable to the people of this country and Sonia Gandhi has her best years behind her. The party has no one to provide a direction. It refuses to learn. It has made wrong choices in choosing leaders of opposition in both Houses of Parliament. In fact it is nothing right which the party has done or is doing. It saddens me that the Nehru-Indira legacy has reached a cul-de-sac@. Further h concludes the book with the following observation: Since Soniaji is still the unchallenged leader of the party, it should be her responsibility to reinvent the party. Blaming Rahul is a way is shifting the blame from the Congress president to someone who has yet to display his leadership skills. History is threatening to repeat itself. It is a matter of time before Soniaji’s and Rahul’s is challenged from within the party. I will be closely observing how they stand up to this challenge. Sonia is not Indira and Rahul is Sanjay’. These are powerful lines and I am sure they would find an echo in every sincere and loyal party worker. As a seasoned political operator, if I can call so Mr.Fotedar has much more explosive material with which he can demolish a whole lot of other operators whom he calls Sonia’s coterie, sycophants some of he also mentions by name and many he leaves out but those who know the 10,Jan Path crowd know most of them. Some are very old loyalists who still live in Delhi occupying Lutyen’s bungalows and also others like Dr.Manmohan Singh and Shiela Dixit who are also playing roles that are not entirely selfless but there are new currents and cross currents. I myself had recently been to Delhi, visited the AICC twice, why, even tried to see Sonia and Rahul. They have their own ways, they don’t like visitors coming straight to them but through a circuitous route. You have to wait upon small men and women and I didn’t want to do pursue this political path. I am an old Congressman, from the days of Pandit Jawaharlal Nehru. I was with Kamaraj and many others at the AICC from 1962 onwards, off and on. I contested the Madras Legislative Council in 1968,when the Congress was in the dumps, Kamaraj himself was defeated and thus when I won against the candidate put up by none other than the late C.N.Annadurai, the founder of the DMK, at the peak of his popularity, Kamaraj himself came out and claimed I was his candidate! The point here that I am myself engaged in the reform of the Congress, first in Tamil Nadu, my home state where the Kamaraj legacy is still very intact after 50 years of the Dravidian sway. Kamaraj passed away in 1976 and I had been working in his path ever since. So, I toured the state(TN) in 2008 and conducted many district level Congress workers meetings and found great enthusiasm for reviving the party on the Kamaraj legacy. I held meetings in the district headquarters of Krishnagiri, Salem, Namakkal and Tanjavur. In Krishnagiri in 2008,when I openly criticised the leadership of Dr.Manmohan Singh, the then Prime Minister, the Congress workers revolted! But then I predicted then : The Congress party would lose mass base unless we reorganise the party on the democratic and transparent manner. I must have written at least one hundred letters to Sonia Gandhi. But for not one letter she responded! Not only that. She never once even visited the TNCC headquarters but then she chose to visit the DMK headquarters in Chennai. Even today the workers have no clue as to her secret parleys with the corrupt DMK with 2-G cases turning its image irrevocably. There is much to read through the liens in Mr.Fotedar’s book. As he rightly says Sonia had brought in many known party defectors from rival parties. Why, he even says that she had inducted minorities’ leaders, Christians and Muslims lately instead of old, tested loyalists. In fact, he mentions in one place that at some crucial meetings, she had deliberately left out known loyalists for granting separate statehood to Telengana. The two Telugu speaking states deserted the Congress party, not one M.P. was elected from the Congress ticket! The one lingering feeling is that Mr.Fotedar too is now disillusioned? For not getting a Rajya Sabha nomination and also thereby his entitlement for a bungalow in Lutyen’s Delhi? So, he chose to call it a day? It is very convincing. For even those who are now left in Delhi, as I myself had seen, are the ones who still hold on to plush bungalows. Dr.Singh himself is occupying a 3 acre plot of vast property, some 5 or six tennis courts or some large number of airconditioners etc. This is the lavish lifestyle to which the Congress leaders were long accustomed to. And the BJP government is selectively choosing to humiliate and drive them out one by one. The left-over Congress leaders won’t go away so easily for they know the many devices by which they can cling on to privileges in living in Delhi. Now, as for the final bombshell? Everyone in the Congress are only murmuring about the state of affairs in the Congress. I myself see the deep frustration that is simmering at the AICC. It is the corrupt elements around Sonia who are feeding her ego. Mr.Fotedar says that Sonia is keen to ‘foist’ her son on the party and the government. My own assessment is that she might continue to stick on to the present style tactics, marches to Rashtrpathy Bhavan etc and drag on till for one or two more years. By then, the next Lok Sabha election 2019 would become a subject for heated talk and then she might once more try to foist Rahul Gandhi, with funds collected for the next general election? May be this must also be the aim of the seniors who are also settled in Delhi. One thing is certain. The Congress party even now is not bothered to reform itself. What the party had done in the last 16 months since it lost power? The CWC must have been dissolved a new committee with new faces must have been constituted. Not even a peon has been appointed or changed. There is all-round sullenness at the AICC. At the states level literally chaos, faction fights, internal revolts (latest as in Assam) are the order of the day. Seeing things in perspective, Mr.Fotedar has really done a national service. He has dared to speak the truth at the right time. Unfortunately, Sonia Gandhi has failed to safeguard the core values of the Indian National Congress. Actually, she is destroying the core values and doing things in ways that break the heart of large segments of Congress cadre and senior leaders. This is most unfortunate. I only believe that this drift doesn’t lead to unforeseen consequences. Politics is fundamentally a sphere of morality and high principle. And also at the same time, as Thomas Hobbes has said, it could be and is ‘solitary, brutish power and nasty and short’. Let true Congressmen take courage and learn to talk things out. Let us not fear for our short comforts and continue to live with our current cowardice. Jai Hind. Prime Minister Modi has done well so far! Lack of a coherent modern ideology leads to lawlessness, violence and criminality in public behaviour on the part of various levels of leaders? The PM could do more, especially at the grass-roots and at the many institutional levels! Unfortunately, many negative things happen and his image and intentions are misunderstood. Prime Minister Modi, let us admit honestly, is a refreshing contrast to his predecessor. Modi is an orator; he speaks almost incessantly and on all topics. That is after all is the duty of a Prime Minister in a parliamentary democracy like India with diverse people and diverse levels of developments and opportunities. Take the grass-roots issues. Oh, they are so diverse and so overwhelming. Just now, in Karnataka we read about the latest report from the Abdul Nazar Sab Institute of Rural Development, Mysore, a unique institute established by the Ramakrishna Hegde government when for the first time, after Pandit Nehru the rural development paradigm changed toward a more decentralised panchayat raj system. Only those who have long memories would care to remember and r call how the very economic development of India received a boost by the Community Development and one Mr.Dey, a Bengali administrator received the attention of Nehru and the very same gentle man was invited by Mr.Hegde then to inaugurate the panchayat raj decentralisation. 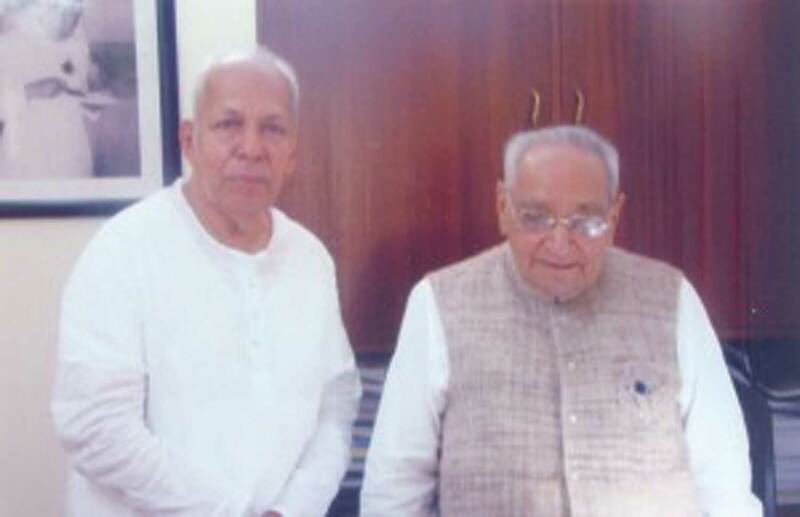 Unusually Mr.P.V.Narasimha Rao was also invited to be present on that occasion. Where are we now in the panchayat raj movement? It is good to read a report by a body in Karnataka on the backwardness of about 50 percent of the panchayats in the 30 of the present Karnataka districts. The point is that if only the national level leaders only talk about it, if the media reports such topics, the priority of development would shift from urban affairs o rural affairs. So too other initiatives like the Lokayukta. It is Karnataka state which showed a new trail of glory where the World Bank itself chose to highlight the Karnataka experiment. We refer here the recent report on panchayat reform proposed by the Karnataka government. Even the present Central government can profit by studying the Karnataka state efforts to reform the panchayat bodies. A new law is to be passed with 88 amendments to empower the panchayat bodies. It is another thing now that the institution had fallen on bad days. What we want to highlight is that a journal like the Agriculture& Industry Survey, published independently of any corporate backing and only on the support of readers and a few segments of interested subscribers, government depts., public libraries and banks and others had an uphill task to devote more that brief space for a topic that has no sale value but a value that is immeasurably important for the development of the maximum number of people, the farmers and villagers. Village youth, young men and women and whose aspirations are intrinsically tied to what we are talking about here. A Prime Minister by simply talking about and highlighting some priorities can inspire and motivate a larger segment of the population. Here we don’t want politics, the many political aberrations that had now led cumulatively to a series of negative publicity for even some of the otherwise positive changes in the polity, economy and society. PM’s clean India campaign is an excellent scheme and so too many of his new campaigns. Luckily, the PM is a tireless traveller and talker and this helps the government a great deal. Why rush where angels far to tread? Why rush to areas where time and patience and persuasion are a better alternative. We would urge the government to let the judicial reform lie where it has now come to lie so. Let us also tell the elec3td representatives not to let their tongues loose and create communal tensions. Communal harmony is the greatly valued Hindu dharma, right? Even those who are not members of the Hindutva are good and great Hindus, right? Why deny others who might be modern-minded, educated in the west and might seek for India a proud place in the scheme of things and so don’t ignore those who are better educated out of any inferiority complex. However much you shout and obstruct the lives of those who don’t agree with you, how much physical violence you r e sort to, be it in the name of religion, or Pakistan or other things like quota battle in Gujarat and other such issues, you have to face the reality and have to learn to live under the rule of law. Even when weighty issues came up and even when such legal luminaries had different viewpoints it is only wisdom to listen to them and not to rush to make hasty comments. In one day we read two FIRS in the name of sedition! One against Mr.Jaitely himself! This is sheer desperation. The Prime Minister must help to quieten the tempers. Even in election time as in Bihar, the top brass of the BJP needn’t go for total victory. In all states one party needn’t rule. It is sometimes not even good for the democratic health of the polity! Even election rhetoric has to remain within some decent limits. The Prime Minister under our Constitution is a unique institution. The people, largely illiterate at the very boom of the society are easily excitable in the name of caste, religion and ethnicity. Please, Mr. Prime Minister, you can play the role of good teacher in a great and rare historic opportunity.